This was my third read by Luisa Plaja so I knew what to expect as far as writing style and character building - effortless, easy-to-read writing and well-developed characters - and I'm very happy to say that those expectations were met. 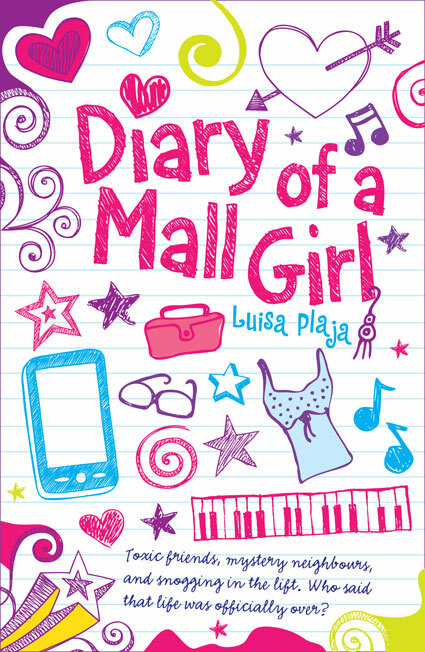 Diary Of A Mall Girl was a fun, light read and a lovely break from the slightly heavier books I normally read. I sped through it and had a great time reading about the disaster that was Molly's life. :P The plot was simple yet effective as it was basically a diary written by a very dramatic teenager. We got to hear about the mortifying situations Molly was always getting herself into and how she was convinced that her life was over. We've all been there so reading about Molly's thoughts, feelings and actions was hilarious and pretty relatable. 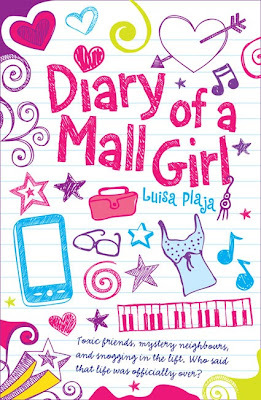 Despite the little parts that annoyed me as I read, Diary Of A Mall Girl was a very enjoyable book and was written brilliantly (as always). I would recommend it to slightly younger readers, maybe about 11 - 14 year olds, as I think I was a little too old to fully enjoy it. It's a great book of you want a break from heavier novels and was a joy to read. ^_^ I'll give it 3.5 out of 5.